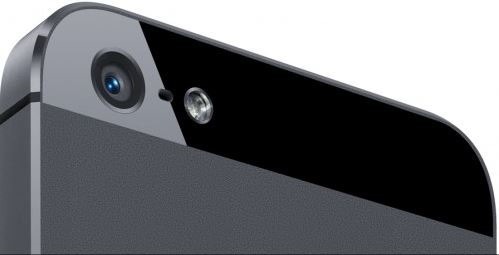 Smartphones Kill Point & Shoot Cameras, Sales Drop Drastically! Two of the biggest camera makers: Canon and Fuji Film has announced that they will trim their offerings of point-and-shoot cameras as their sale is decreasing and the demand is vanishing. For the year 2013, their sales have drastically dropped to mere 30% compared to last year. During 2010-11, 80% of total camera sales in India was contributed by these point and shoot cameras, and the rest contributed by SLR cameras. But in 2013, this percentage dropped to just 30%, and it is expected that by 2014 end, only 10-15% of overall sales would occur from this segment. Generally categorized as ‘sub-Rs 10,000 compact cameras’, these were a hot favorite with Indians till last year. But due to huge growth in smartphones sales, the demand of these point and shoot cameras are continuously declining. The average smartphone is now equipped with almost similar features which one may get in these sub-Rs 10,000 cameras, and thus the craze of these cameras have almost vanished. Companies such as Nikon, Sony and Canon had roped in leading actresses like Anushka Sharma, Priyanka Chopra and Deepika Padukone to advertise these cameras; and the advertisements generally peaked during the Diwali and Dussera holiday seasons. But it seems that today’s tech savvy generation needs more lure to charm them and such point and shoot cameras are losing their steam very fast. The biggest advantage of clicking pictures with smartphones is that they can be shared instantly with your friends and family; a feature which is absent with most of the point and short cameras. Instant connectivity and social sharing along with better resolution and higher pixels in smartphone cameras mean that point and shoot cameras would soon be out of shelf. Canon has revealed that they will not push for new models in this low-demand segment but add features to keep them competitive against smartphones. But Sony and Nikon are still upbeat about this segment, as they believe that during festival season, there is an intense demand for these point and shoot cameras, and they will keep a precautionary position for one more year. Nikon too will keep their focus on this segment for another year as they will spend more time and money in improving the features of these point and shoot cameras. Nikon is trying to add features such as Wi-Fi connectivity, advanced shooting modes and inbuilt GPS and them more robust. Nikon India managing director Hiroshi Takashina said, “As digital camera prices are becoming more affordable, consumers are lured to upgrade for superior quality,”. Technological world keeps on changing, and demand for newer and better features is always there. Let us see how does the camera makers transform themselves to bring in more innovation and more ideas into this market. We are watching! Maruti Suzuki To Launch A Car Without Clutch… No, It Is Not Automatic Transmission!